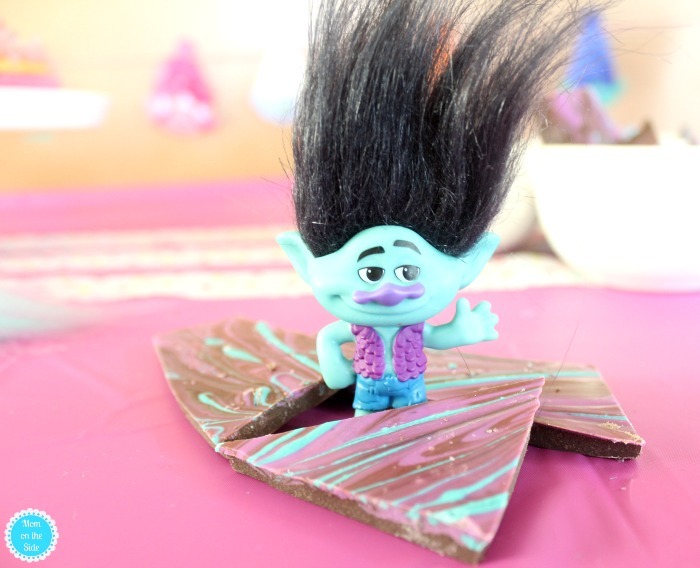 These Trolls Party Ideas are in partnership with DreamWorks. Any excitement for the new Trolls show on Netflix is 100% our own! Poppy, Branch, and all of Troll Village are embarking on fun adventures with a side of sing your heart on this newest Netflix Kids show. My twins big puffy pink heart love Trolls and have watched the movie as well as Trolls Holiday countless times. I surprised them with a Trolls Party thanks to a super fantastic craft box and toys that DreamWorks sent us. 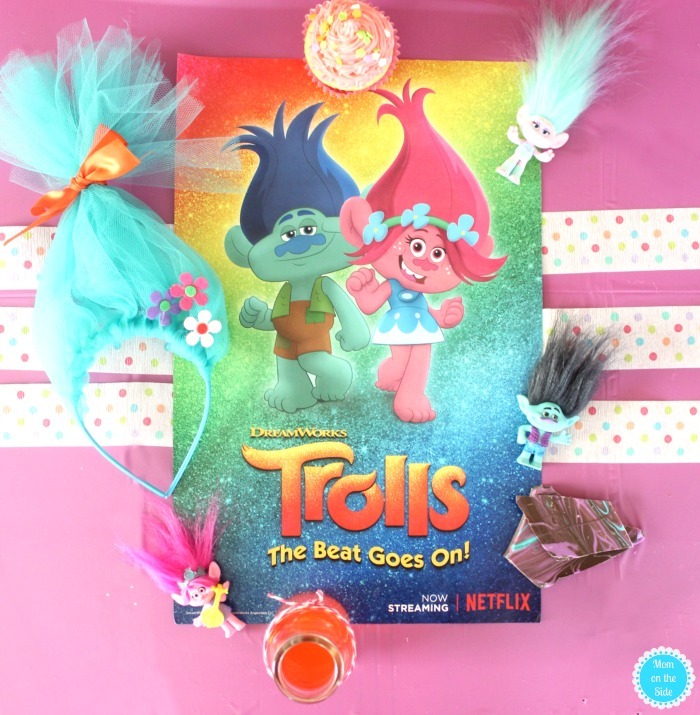 These super fantastic crafts and snacks are a great way to kick off the new Trolls on Netflix. 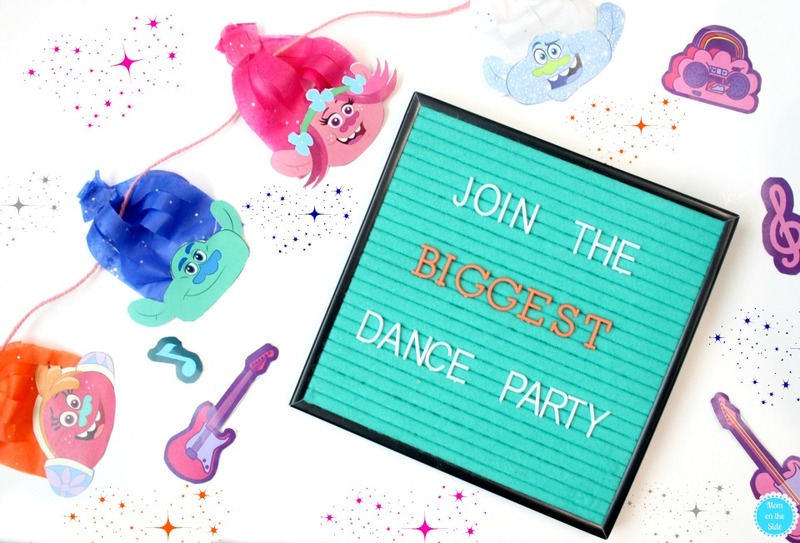 Get ready for a craft+binge family night and maybe some dancing to as The Beat Goes On! 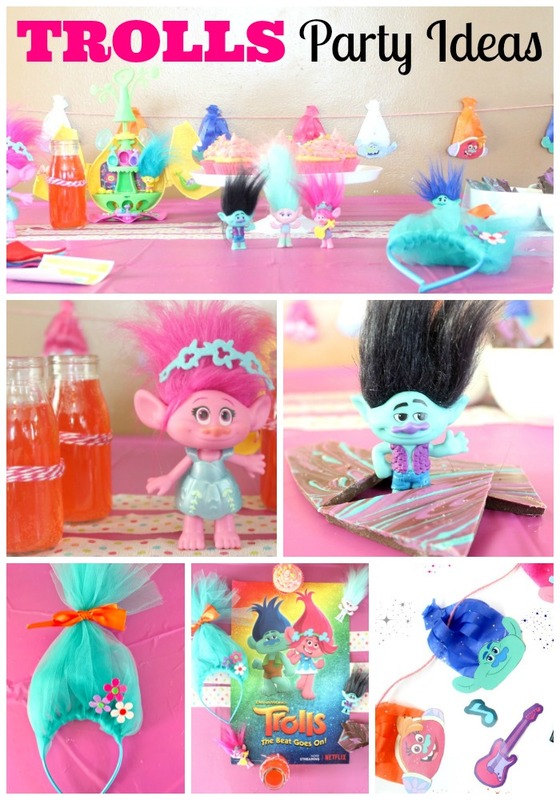 Poppy Punch, Pinktastic Cupcakes, and Branch Bark were on the menu at our Trolls Party. 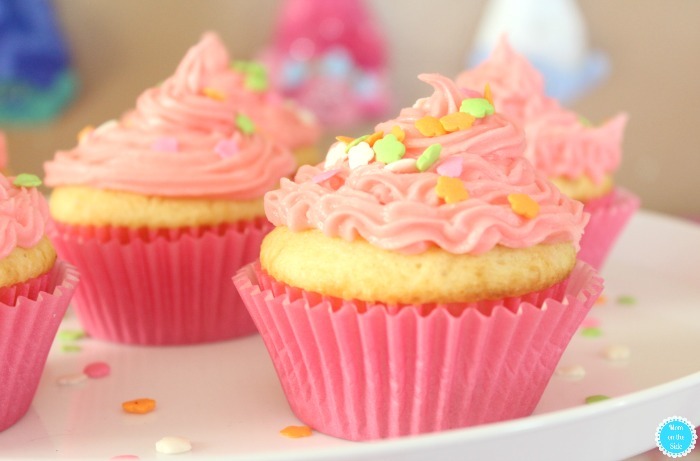 Super simple to make for both a small family movie night or party with friends. Branch Bark: Chocolate Almond Bark (full package), Purple Wilton Candy Melts (1 Cup), Teal Wilton Candy Melts (1 Cup) swirled together and stuck in the freezer for a few minutes to harden before breaking into pieces. 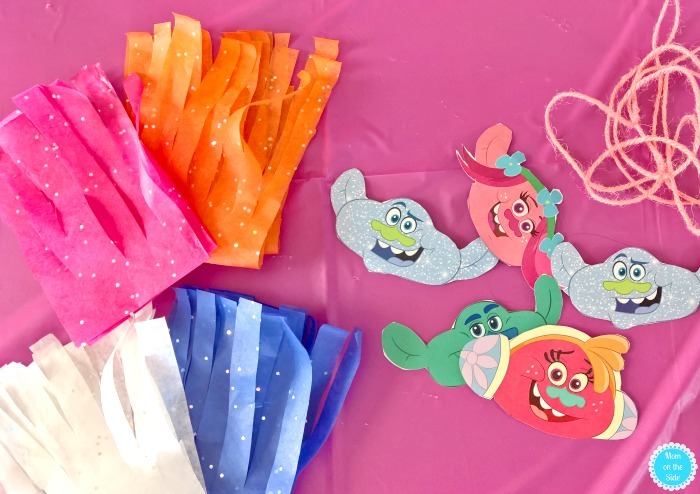 A fun and inexpensive craft for a Trolls Party is DIY Trolls Headbands! 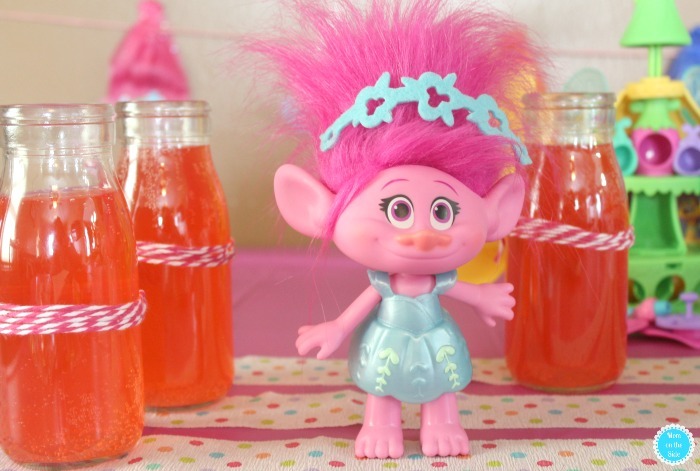 With a few simple supplies and a hot glue gun, you’ll have Trolls hair in no time! 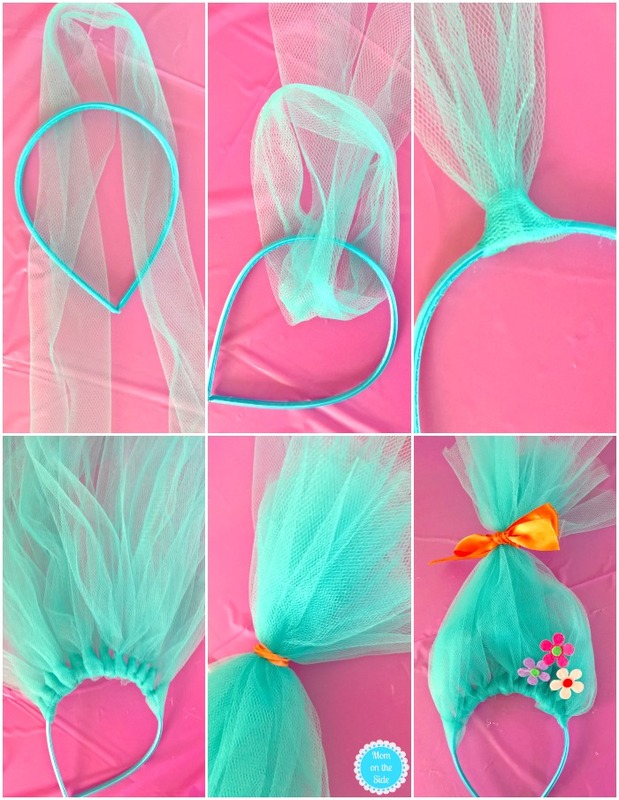 Fold the strips in half and tie them on the headband using a larks head knot. The knots shouldn’t be too tight or too loose. When all the strips are on the headband, pull the ends together and tie them with a rubber band. Tie a ribbon into a bow around the rubber band. Glue felt flowers on near the headband and off to the side. 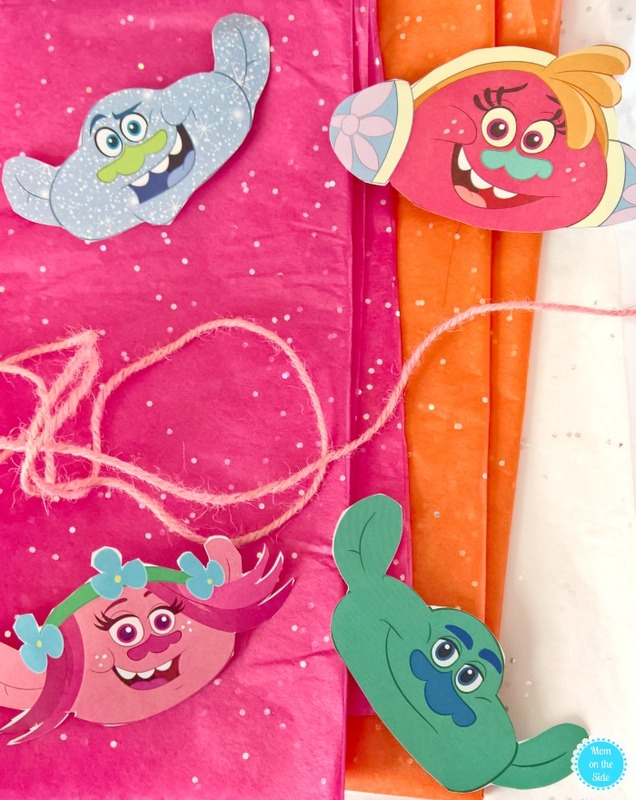 A little sparkle and a lot of smile is what this DIY Trolls Garland brings to the party. Hang it on the wall or off the front of your party table for a nice touch to the decorations. Cut tissue paper into 10″ X 2.5″ strips – one for each troll. 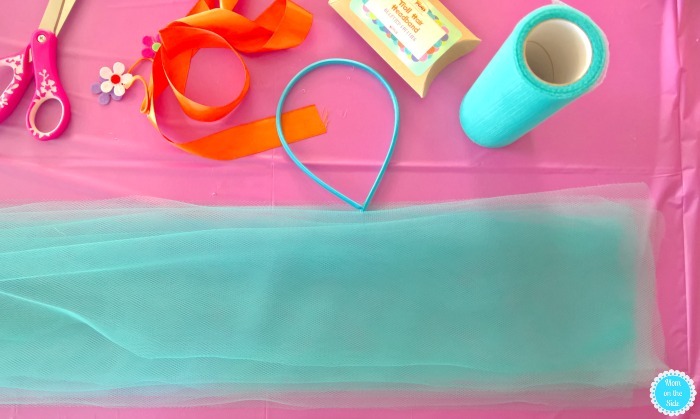 Fold the tissue paper in half so you have 5″ X 2.5″ strips. Cut the tissue paper down the middle on the end that isn’t folded. Stop when you get about an inch away from the folded end. Cut two more evenly spaced strips on both sides of the middle cut. Attach the tissue paper to the troll face by placing hot glue on the folded portion and attaching it to the back of the troll face. Once all the tissue paper is glued onto the troll faces, begin gluing the hair. Place a dot of hot glue on the middle right hair strip. Place the strip to the right on top of it. Repeat with the last strip on the right. Move to the left side and do the exact same thing in the opposite direction. Place a dot of glue on the right side of hair strips and attach the left side of hair strips on top. Complete remaining hair for the trolls. Once dry, run the string through each of the hair strands. Hang it up with tape or thumbtacks and space out the trolls evenly. 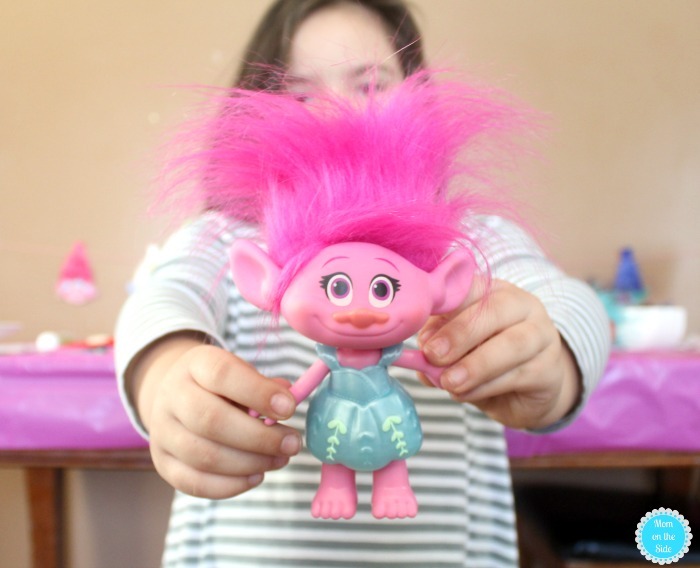 PS: Here is printable step by step instructions with pictures, along with the Trolls faces. Plan a cozy and fun craft+binge family night in on Friday, January 19th with Trolls: The Beat Goes On! 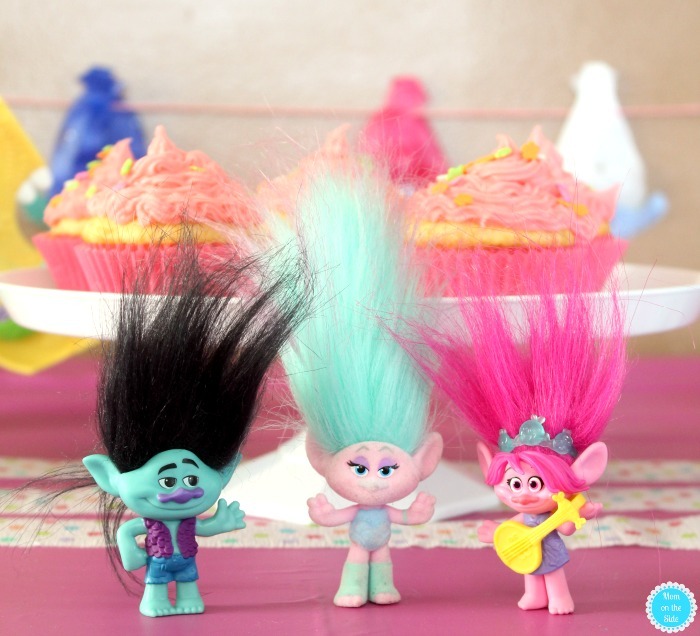 Pin these Trolls Party Ideas for later!